Thanks to a new deal with Coinbase, Fidelity is letting the sun shine on digital assets. Fidelity is inching forward into the "digital assets" business, rolling out a new service through Fidelity Labs that enables Bitcoin and blockchain users to track their investments alongside their more traditional investment categories, like stocks and mutual funds. The service is the product of an alliance between Fidelity, an investment company with $6.2 trillion in assets under management, and Coinbase, a burgeoning digital wallet and digital asset exchange platform, with a $10 billion market cap, after five years in business. Now, Fidelity customers who have Coinbase wallet accounts "can authorize Coinbase to provide Fidelity with data on holdings in their Coinbase wallet accounts so that customers can view their Bitcoin, Ethereum and Litecoin balances alongside other accounts in their Fidelity Portfolio Summary View on Fidelity.com," Fidelity said in an August 9 statement. Digital currency investors can't actually trade on the Fidelity platform, but they can view and track assets on a 24/7, real-time basis. Fidelity appears to be trying to get ahead of the curve on digital currencies but stops short of saying that Bitcoin and other digital assets are becoming mainstream -- at least, for the time being. "Bitcoin and other blockchain technologies are emerging from their infancy but mass adoption is still many years away," says Hadley Stern, senior vice president and managing director at Fidelity Labs. "Additionally, don't underestimate their disruptive nature. Just as many other technologies have done in the past, Bitcoin and blockchain will transform how we manage our finances." Fidelity is walking the walk on digital assets, especially Bitcoin. Stern says that the investment giant has made Bitcoin available for use in its company cafeteria, and employees can donate Bitcoin assets to the company's Fidelity Charitable Donor Advised Fund. "We're learning along the way" on digital asset management," Stern says. The Fidelity move on digital assets begs the question - is Bitcoin becoming "normalized" these days? "It really depends on what you consider 'normalized'," says Evan Tarver, an investment Analyst with FitSmallBusiness.com in New York City. "If we're talking about widespread and mainstream adoption of Bitcoin as an investment vehicle, I think we're still far off from that happening," Tarver notes. "For example, there have been two attempts to create a publicly-traded ETF that tracks the value of Bitcoin and other cryptocurrencies. These did not make it past the regulations and red tape of the financial system." 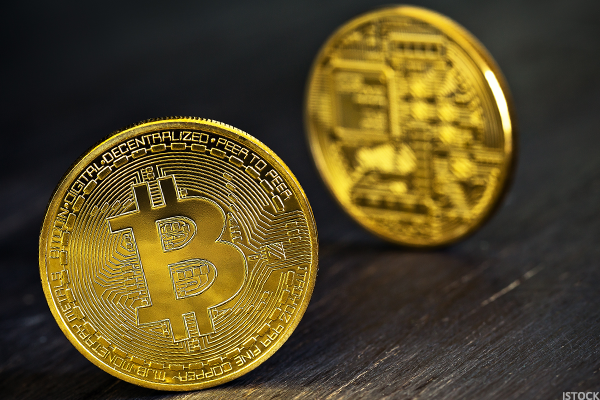 However, Bitcoin is now officially worth $3,366.89 per coin, and the incredible growth in value over a short period is causing opportunistic investors to invest, Tarver adds. "I think this is why Fidelity now lets you track your Bitcoin investments in your Fidelity account," he says. "It's not necessarily that cryptocurrencies are becoming the next stocks or bonds, but rather because savvy investors are profiting off the volatile movement in Bitcoin value, and I'm sure some of these investors are major customers of Fidelity." Some economic experts say that the fact that Fidelity is placing digital currencies next to traditional investments really is a sign that Bitcoin is here to stay - and will grow in myriad ways. "Yes, proof of normalization is in the fact that Fidelity is offering this service," says Gina Pieters, an economics professor at Trinity University. "Actions speak louder than words. Plus, there is also the likelihood of a Bitcoin ETF -- possibly an Ethereum ETF as well." The blockchain technology underlying Bitcoin and associated cryptos is being examined more seriously by various institutions for FinTech applications, which also helps to demystify Bitcoin, Pieters states. "However, I would stress that it is becoming normalized, but is not all the way there yet," she adds.